You all know I’m not a fan of glitter. I prefer glowy sheens when it comes to highlights. I’m not a fan of glittery shadows, I hate when it shows up in my bath bombs… I guess I’m just a glitter Scrooge. But when I saw the new Almay Make Them Jelly Hi-Lites, I must admit that I was intrigued. Right off the bat, I would categorize these as very “festival” if you know what I mean. The product is basically iridescent glitter suspended in a jelly formula that you can use on the face and body for a bold look. 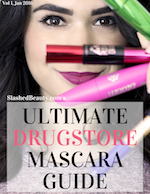 It was rather unique for the drugstore, so I wanted to give them a try with an open mind, despite my aversion to glitter. I can play fair! I mean, it is really gorgeous both in the ads and in the jar itself, so I was ready to dive in. 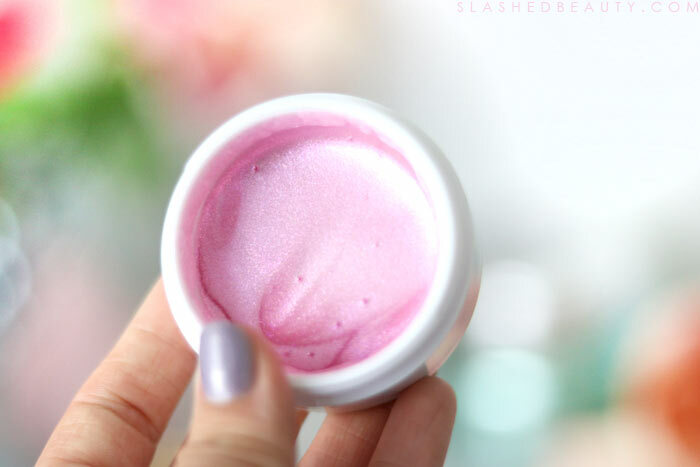 Open up the adorable gem-like lid to reveal a sea of pink glittery goodness in the shade Unicorn Light. 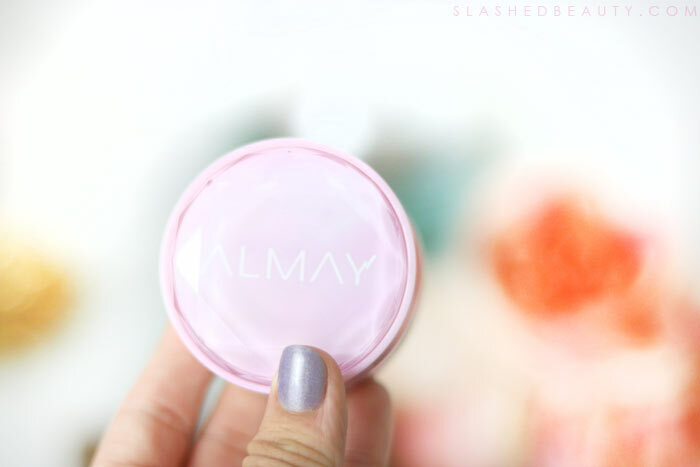 I didn’t know what to expect as far as texture, as I’ve never had any jelly-like makeup before. But it feels pretty much how you’d expect. Almost like a thick jello that melts into the skin. 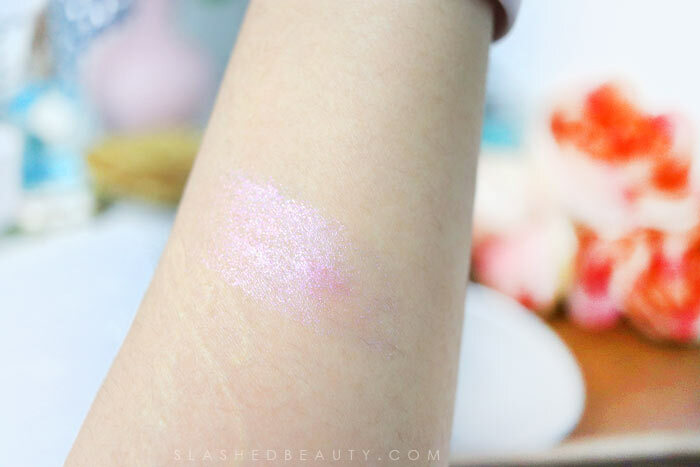 It goes on feeling a bit dewy, but it dries down pretty quickly and the glitter is locked into place. Your highlight when using this won’t be stroby. The actual jelly blends out clear, depositing a streak of glitter. Not shimmer, don’t get it twisted, it’s actual glitter particles. For that reason, I wouldn’t personally use this for every-day use but definitely for nights out in the club, at a concert, at festivals… that sort of thing. It’s definitely supposed to be the statement of your look. One of the main complaints I hear with this product is how it dries out quickly. There is a second lid underneath, which is super important to keep in place to avoid extra air getting into the container. If the product becomes dry, it’ll pretty much be useless because it will just crumble instead of blend onto the skin. With that said, even when it’s in prime form, it can be a little bit difficult to get an even application. Using thinner layers is key to avoiding patchiness. I find the best way to apply is with my fingers, as the warmth helps to melt it into the skin. I think the final look is very cool, very trendy, and definitely has a purpose in someone’s beauty collection if you like going a little unconventional now and again. If you’re looking for a normal highlight, though, this isn’t it. Also, yes— this is a little on the annoying side to remove. A normal makeup wipe takes most of it off, but you’ll probably be left with a few glitter particles that will linger and reveal themselves when they catch the light. You know, normal glitter stuff. Also, if you accidentally apply this somewhere on your face on top of makeup, you just gotta go with it. You can’t exactly brush it off without removing your makeup entirely from that area. 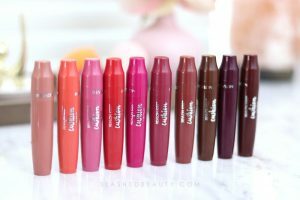 So overall, I think this is a fun novelty makeup item that’s actually useful for unique looks. 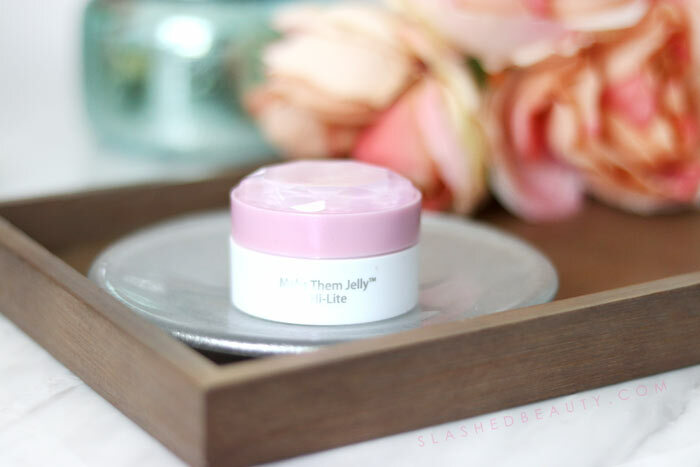 The Alway Make Them Jelly Hi-Lite is available at Ulta Beauty for $14.99. Have you tried any jelly-textured products? Thank you so much for the swatches and photos. Helps with making a decision whether or not to buy.